Besides books, CDs, DVDs, magazines, the library circulates a growing number of non-traditional items that you might be interested in. 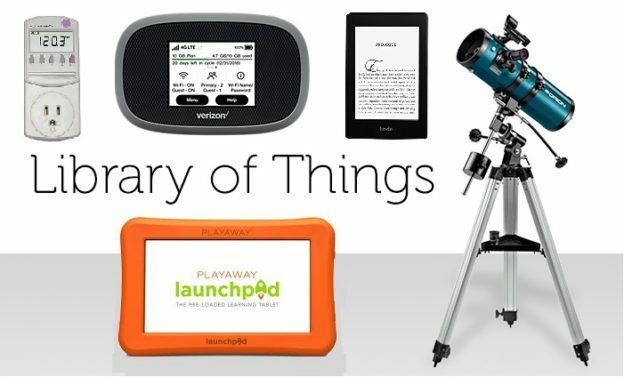 Click here to visit our Library of Things page and see what we’ve got! This entry was posted in news on March 1, 2019 by Kevin Bourque.